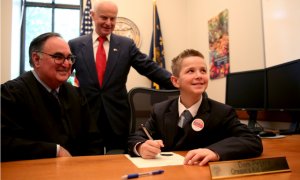 In the article The Kid In Charge Brian S. McGrath tells about how a fifth grade kid named Dom Peters, 11, is sworn in as Oregon’s first kid governor. Many kids have been bullied and have gotten hurt from bullies. Dom Peters wanted to stop it. So, he ran for kid governor. “ Even before running for office, Dom would step forward to stick up for people.” says his teacher, Jo Moore. 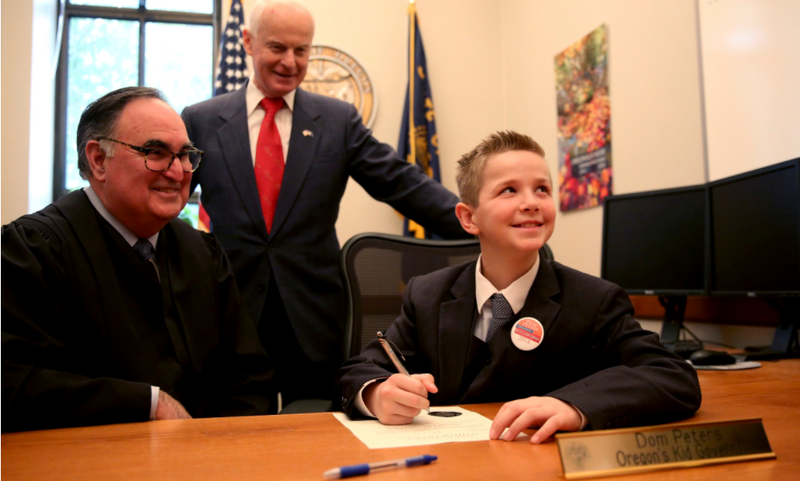 On January 8, Dom was sworn in as Oregons first kid governor. Fifth graders across the state elected him. If I was a fifth grader in Oregon, I probably have elected him because I want to stop bullying too. Dom campaigned with an anti bullying message. Kid voters liked it. “I’ve seen a lot of bullying, and I’ve been bullied,” Dom said at his first press conference. “I want to stop it.” Oregon’s kid governor program is based on a similar program in Connecticut. I hope that other states will follow and have a kid president. Brian Cofrancesco works for the Connecticut Public Affairs Network. You can also check out my flipgrid (which is my personal response to the article), and here is a link to the article I used. I like how you explained about your article and what it is about. I would love to be a kid president! Thank you Vic. If you become kid president, I might want to be your assistant/helper. If you become kid president, I might want to be you assistant/helper also!! !